Diego Zuñiga, Camanchaca, Coffee House Press 2017. A long drive across Chile’s Atacama desert, traversing “the worn-out puzzle” of a broken family—a young man’s corrosive intimacy with his mother, the obtrusive cheer of his absentee father, his uncle’s unexplained death. Camanchaca is a low fog pushing in from the sea, its moisture sustaining near-barren landscape. Sometimes, the silences are what bind us. Mariana Enriquez, Things we Lost in the Fire, Hogarth (US), Granta (UK) 2017. Macabre, disturbing and exhilarating, Things We Lost in the Fire is a collection of twelve short stories that use fear and horror to explore multiple dimensions of life in contemporary Argentina. From women who set themselves on fire in protest of domestic violence to angst-ridden teenage girls, friends until death do they part, to street kids and social workers, young women bored of their husbands or boyfriends, to a nine-year-old serial killer of babies and a girl who pulls out her nails and eyelids in the classroom, to hikikomori, abandoned houses, black magic, northern Argentinean superstition, disappearances, crushes, heartbreak, regret and compassion. This is a strange, surreal and unforgettable collection by an astonishing new talent asking vital questions of the world as we know it. Samanta Schweblin, Fever Dream, Riverhead Books (US), One World (UK), 2017. Longlisted for the 2017 Man Booker International Prize. Joan-Marc’s out of work, he’s alone, he has a heart condition, his mother’s addicted to pills, he can’t stand his sister. Otherwise, life is beautiful. And there’s a lot that his estranged second wife doesn’t know about him. But in Divorce is in the Air he now sets out to tell her. He begins with the failure of his first marriage, describing a holiday taken in a last-ditch attempt to salvage a once passionate relationship. Recalling this ill-fated trip triggers a life-story’s worth of flashbacks. From pivotal childhood scenes – his earliest sexual encounters, his father’s suicide – he moves on through the years, hopscotching between Barcelona and Madrid, describing a life of indulgence and of appetites. The result is an unapologetic, daring, acerbic novel by an electrifying young writer about love and the end of love, and how hard it can be to let go. Carlos Fonseca, Colonel Lágrimas, Restless Books 2016. A visceral, moving, haunting English-language debut examines illness, the body, and human relationships by one of Chile’s brightest young authors. 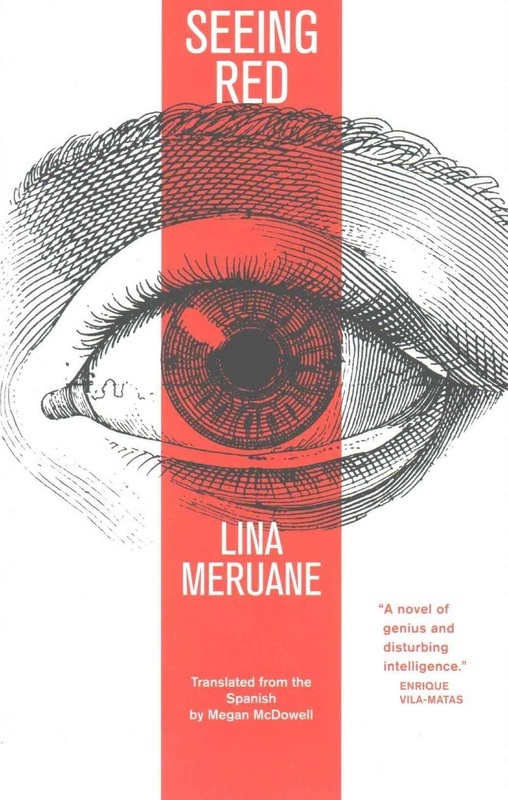 “Lina Meruane’s prose has great literary force: it emerges from the hammer blows of conscience, but also from the ungraspable and from pain.”- Roberto Bolaño. My Documents is the latest work from Alejandro Zambra, the award-winning Chilean writer whose first novel was heralded as the dawn of a new in Chilean literature. Whether chronicling the attempts of a migraine-afflicted writer to quit smoking or the loneliness of the call-centre worker, the life of a personal computer or the return of a mercurial godson, this collection of stories evokes the disenchantments of youth and the disillusions of maturity in a Chilean society still troubled by its recent past. Written with the author’s trademark irony and precision, humour and melancholy,My Documents is unflinchingly human and essential evidence of a sublimely talented writer working at the height of his powers. Álvaro Bisama’s award-winning novel Dead Stars is a story-within-a-story set against the backdrop of Chile’s transition to democracy after decades under the Pinochet dictatorship, filled with characters desperately searching for a way to escape their past, their present, their future: a small-town metalhead; left-wing revolutionaries without a new cause; a brotherhood of cough syrup addicts; punks, prostitutes, and thieves. Through them, Bisama’s tragic novel explores how our choices, the people we know, the places we pass through, and the events of our lives exert an unsuspected influence long after their light has gone out and they have faded from our memory. Growing up in 1980s Chile, a young boy plays hide and seek in the suburbs of Santiago with his friends while the adults become slowly entangled in the violence of Pinochet's regime - accomplices and victims of the brutal dictatorship. A riveting, thrilling, and shocking read, Under This Terrible Sun paints the portrait of a civilizational in terminal decline, where the border between reality and nightmare has become increasingly blurred. Set in the darkest years of the Pinochet dictatorship, La Vida Dobleis the story of Lorena, a leftist militant who arrives at a merciless turning point when every choice she confronts is impossible. Captured by agents of the Chilean repression, withstanding brutal torture to save her comrades, she must now either forsake the allegiances of motherhood or betray the political ideals to which she is deeply committed. The Private Lives of Trees demands to be read in a single sitting, and it casts a spell that will bring you back to it again and again.It tells the story of a single night: a young professor of literature named Julián is reading to his step-daughter Daniela and nervously waiting for his wife Vernica to return from her art class. Each night, Julián has been improvising a story about trees to tell Daniela before she goes to sleep, and each Sunday he works on a novel about a man tending to his bonsai, but something about this night is different.